I’ve been blogging since June of last year. In the beginning I was informational. I wanted to share everything that worked for me. Since then, this blog has developed into more of a journal and a place where I can hold myself accountable. People ask me a lot what I’m doing to lose weight. I usually refer to my blog when people do, but no one wants to scroll through my rambling to look for useful information. So today I decided to make a summary post for all of the posts I’ve done in the past that I feel would help people live healthier and/or lose weight. These are the suggestions I would make to anybody who wants to make changes that are realistic and long term, and these are the changes I’ve made myself that have helped me get where I am today. My before and after – starting now to make changes – see here. How you can do Weight Watchers on your own, for FREE – see here. How to use the free Weight Watchers app on your phone – see here. Don’t drink soda. That includes regular AND diet – see here and here. The importance of preparation. Preparation = successful weight loss. Try using Tupperware – see here. Staying motivated to lose weight – see here. My Fitness Pal (food tracker) and a breakdown of understanding nutrition labels – see here. Tips to making healthy food choices – see here. My tips to losing weight and keeping it off – see here. Easy changes you can make today to start living healthier and/or losing weight – see here. Using a free app on your phone to download books for FREE and learn about fitness, nutrition, and weight loss – see here. To lose weight you have to EAT – a day in my food diary – see here and here. Why breakfast is the most important meal of the day and how this applies to your weight loss – see here. Finding ways to make exercise fun – see here. Tips from Jackie Warner on what to eat and how to exercise (from a book called, “This is Why You’re Fat and How to Get Thin Forever) – see here. 2012 was very good to me. I’ve already mentioned this in a previous blog so I won’t go into 2012 details. Instead I’m looking ahead into 2013. So this leaves me asking the question… what will 2013 bring me? I want to continue with charity walks. I miss the cancer walk every year. I already do the heart walk. I’m going to research these walks and put them in my calendar so I don’t forget. I want to continue with my gym time and get back into a more established routine that includes cardio and strength training. I want to get back to jogging with a goal in mind to jog 2 miles without stopping. I want to tone and build some muscle. Not like body building muscles, just toned muscles. I want to really put some money back in savings so I’m going to readjust my budget accordingly so that I can meet a specific figure by the end of 2013. I want to help Mike pay off his car. I want to pay off a chunk of my student loans. I’ll go with a goal of paying off half, but that might be unrealistic. I want to get my daughter into pre-school and enroll her in dance classes. I’ve been wanting to get her in dance for a while, but it was set back when my work got really busy. I want to meet my weight goal so that Mike and I can have another baby. I want to spend as much time with my sister as possible before she goes back to California in a few months. I want to have a will drawn up in case anything happens to me or Mike. I want to make sure Brooke will be taken care of. I’ve been meaning to do this for a long time. I love the company I work for so I’m not sure what to add here for my current job. I guess continue to work hard and try to find a way to grow within the company. I’d also like to find something on the side for health and fitness. 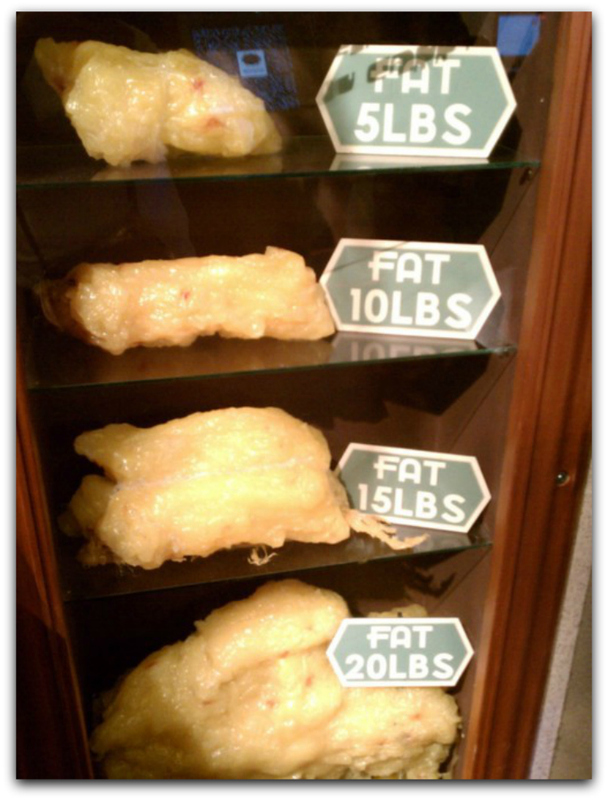 I want to help people lose weight so this will be a new focus for 2013. I’ve thought about becoming a Weight Watchers consultant. I love their program and I consider that a huge part of the success I’ve already had. I’m ashamed that I’m having to come back into this post and edit it to add my faith. I didn’t think about adding it as a goal until I came across fitness charts and one included a goal list for everything I mentioned above, but faith and friends too. My faith is a huge part of who I am. I’m so blessed. I want to get back into church. I haven’t been for so long, but it’s important to me that my daughter grows up knowing about God. So church and school is where it started for me. I need to give that to my daughter too. I’ve been letting myself get annoyed by people who tell me, “I don’t see you anymore.” Well I think that goes both ways. They can pick up the phone as much as I can. They can make an effort to hang out just as I can. And I know I ask the “friends” who tell me this to get together but I’m blown off. So instead of letting these “friends” piss me off, I’m going to focus on the people who are there and the people who make me feel good instead of “friends” that just try to make me feel like crap. That is my friends goal for 2013. To focus on the people who matter and disregard those that don’t. So that’s that. That is my goal list for 2013. No unrealistic goals. These are all achievable goals I can attain in the next 12 months. This time next year as we’re about to celebrate entering a new year of 2014, I hope to look at this list and feel accomplished. To start working on my goals, I registered last night for the Resolution Revolution Walk scheduled for tomorrow morning. I’m not going to lie, if it weren’t for the persistence of my sister I probably wouldn’t have. The idea of getting up early on New Years Day to walk in the snow and cold, eh… not so appealing, but now that I registered I’m glad. Getting up early to walk, inside or outside, is more in line with my 2013 fitness goals than a hangover. So I’ll be starting the New Year on the right track to getting where I want to be. 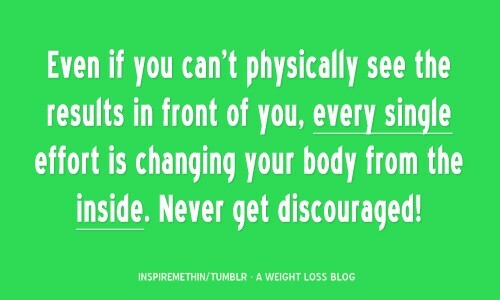 When I first saw this picture below I loved it because trying to lose weight can be discouraging. Especially in those moments when you just get stuck on a number. So what do you do when you’re stuck? Eat less. Exercise more. I genuinely don’t know. That’s why I’m doing Yor Health. I’ve read into this quite a bit- those “stuck” moments. Everything I read says to trick your body. Change your work outs, etc. I tried tricking my body, but apparently my body is too smart and saw it coming. Talk about frustrating. BUT… what keeps me going in those frustrating moments is realizing that it’s a process. What doesn’t come today may come tomorrow so I keep pushing. If you had told me a year ago how miserable I was and how important it was to lose weight I’d have gotten mad, but I would have laughed it off. I wasn’t paying attention to what I was doing to myself. Looking bad now, the change is incredible. It doesn’t matter how frustrated I am, I never want to go back to my “before.” Before long those frustrating days will add up and you’ll be at your goal. The dreaded Monday is here. In regards to my weight loss, I love Mondays because it’s a fresh week. On my “MyFitnessPal” app, Monday start the week. So it’s an easy way to say goodbye to the week before and have a fresh slate. This is a great opportunity to start over again if you have been slipping on meals or exercise. My goals this week are to continue with weight training and to continue with the “MyFitnessPal” app. Easy enough. I should add in to get outside more this week. I’ve been relying back on the gym since it has been so hot, but last Thursday I went on a walk/jog with a friend and it was pretty awesome. She taught me a lot about running, posture, and the width of my steps. I was worried more about speed whereas now I am more focused on distance. I feel good about it. So there I go, 3 goals. Weight lifting, my app, and my distance running. With any new week, set a new goal for yourself. Do you want to go to the gym 3 times this week? Do you want to do 30 minutes of cardio instead of 20? Do you want to cut more soda out? Set a goal, make it happen, and we can go into next week feeling great about what we accomplished. If anyone is feeling discouraged over losing 5 pounds, 10 pounds, or discouraged because the scale isn’t changing as fast as you want it to. Check this picture out and think about how far you have come. And remember, it’s Monday! Start over right now.